This fourfold of modal verbs was mentioned in an earlier post A Story for Everyone, but was not shown explicitly. 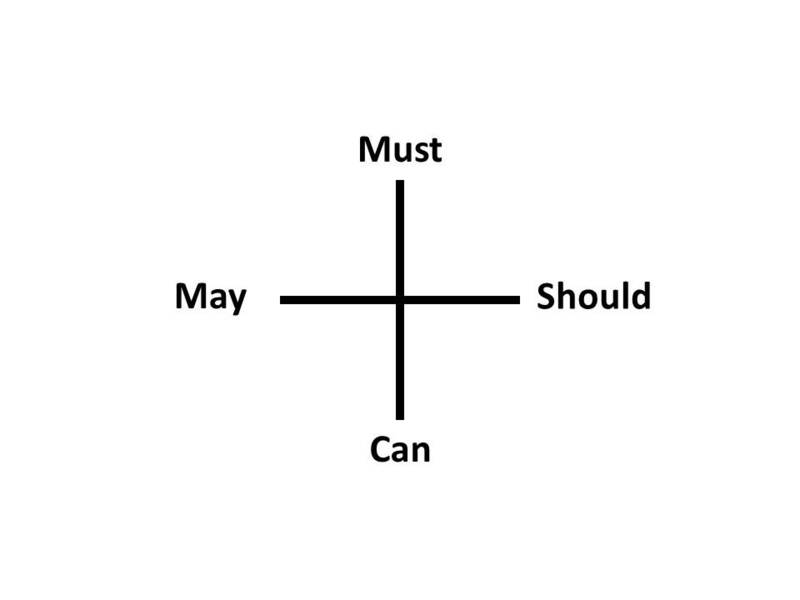 It consists of can, may, must, and should. This entry was posted on September 23, 2013 at 5:06 PM and is filed under Discourse, fourfolds. You can follow any responses to this entry through the RSS 2.0 feed. You can leave a response, or trackback from your own site.